Daring to try something unusual? 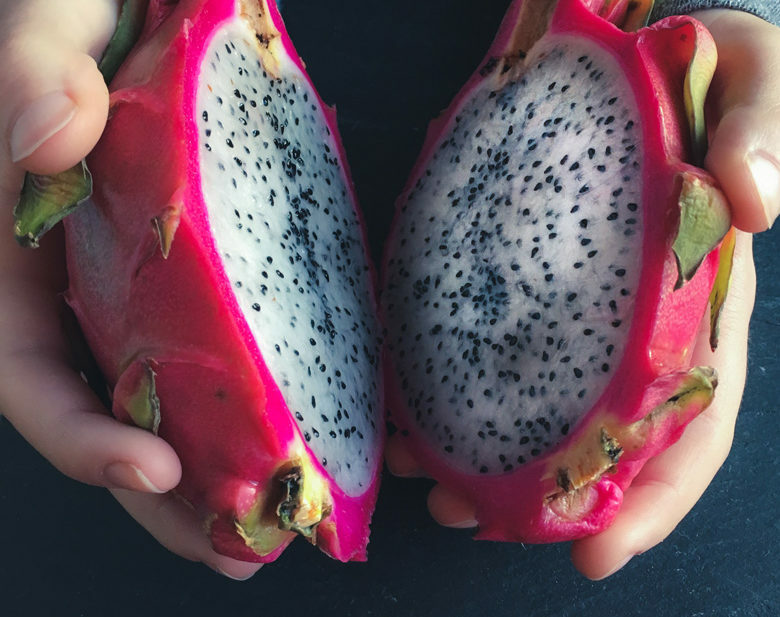 We are utterly mesmerized by this tropical fruit called Pitaya a.k.a. Dragon Fruit. 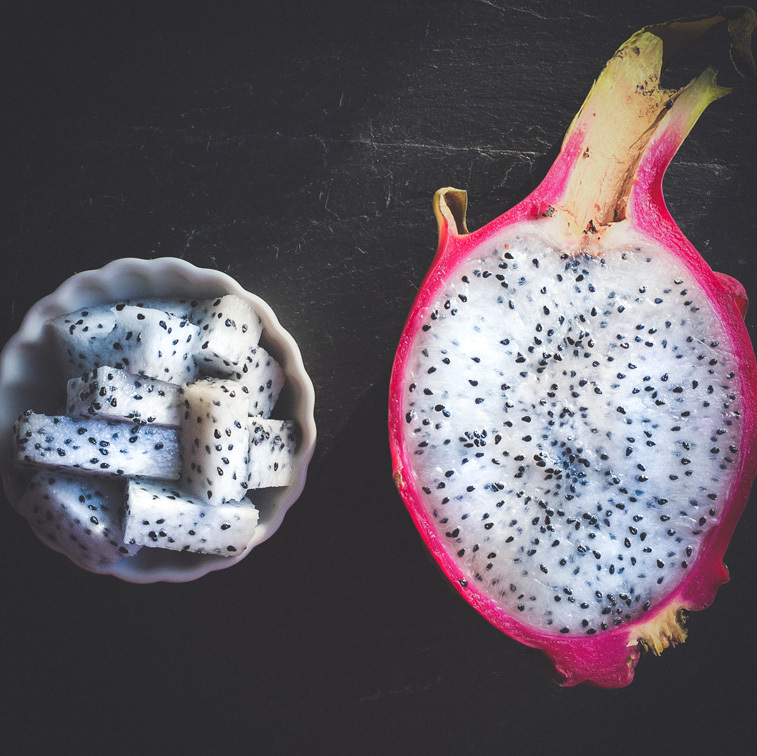 Dragon fruit is in abundance in Asia and South America and can be found seasonally in our local grocery stores. Super excited to see this in our local Hyvee I had no clue what I was going to do with it. As I researched this fruit and its many uses and health benefits, I found that this fruit beats Acai berries in the antioxidant department- wow, I was impressed. So, what does a Dragon Fruit taste like? I would say the texture of watermelon, and a distinctive mild kiwi taste with pear notes. 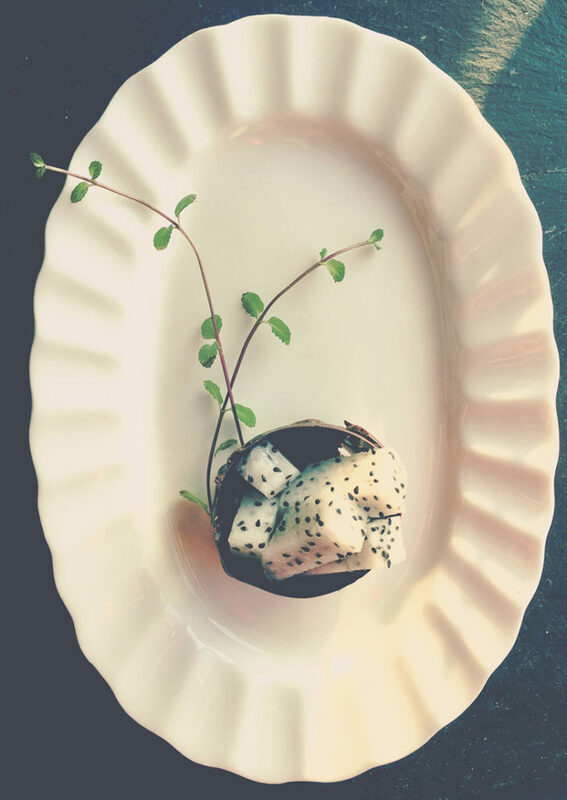 The edible flesh of this strange fruit can be manipulated in multiple culinary ways. 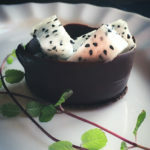 Thinking outside the box, when one might think chocolate covered strawberries we thought– why not dragon fruit chocolate cups? Two ingredients, five minutes. Sweet. 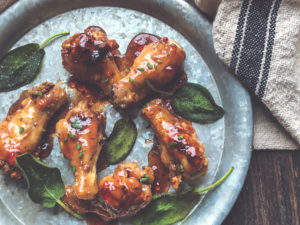 Get your aprons on… I have more seven recipes coming. Ditch the box of chocolates for these made with 100% pure LOVE chocolates. Which ones would you like me to start with first for our countdown to Valentines Day? Over a double boiler, melt 4 ounces of chocolate. Place a heaping spoonful of chocolate in the center of each silicone cupcake liners you are using. Depending on your liners size you could get four modest 1/4 cup size servings or 8 mini versions. You pick, I’d go big personally. Using a paintbrush, brush the chocolate up the sides of the liner. Make sure to leave the right amount of chocolate in the bottom. Place silicone cupcake liners in the freezer for 15 minutes. Over a double boiler, melt the remaining 4 ounces of chocolate. Remove silicone cupcake liners from the fridge to paint another coat of chocolate. Place back in freezer till chocolate hardens for another 10 minutes. 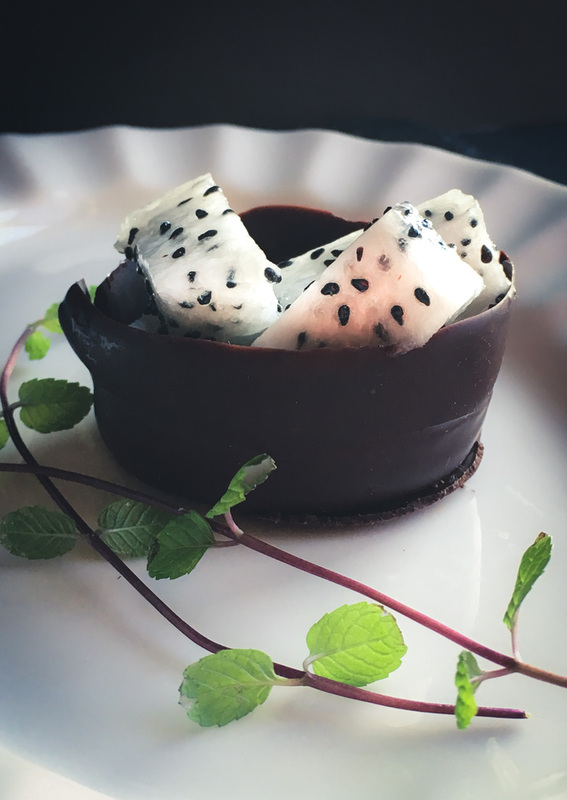 Serve with your cubed dragon fruit, and garnish with mint.